Nissan takes advantage of the launch of its new Altima to introduce the Nissan Altima Edition One. With the new 2019 Nissan Altima, Nissan has caused quite a surprise at the New York International Auto Show. We were expecting a new Nissan Altima, that's true, but maybe not a model that would have so many new technologies and whose character and personality would also be transformed. 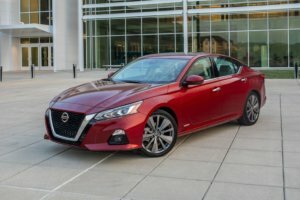 Indeed, the new 2019 Nissan Altima will be completely different when it arrives on the market later this year. To begin, the new 2019 Nissan Altima will be offered with all-wheel drive. It becomes one of the few mid-size sedans to provide all-wheel drive and all the benefits that come with it. With a four-wheel drive 2019 Nissan Altima, you will enjoy a stable, safe ride no matter what the road conditions may be. When a storm hits, you will never have to change your plans, and when you find yourself on a snowy or icy road, you will feel absolute confidence and have complete peace of mind. Available in limited distribution, the latter is based on the Altima Platinum version with the addition of 19-inch dark gray alloy wheels, a rear spoiler, custom floor lighting, door sills illuminated, carpet and badges Edition One. 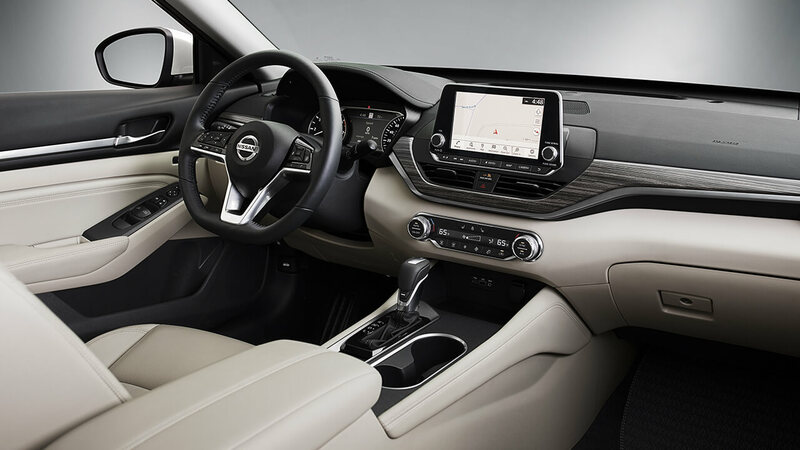 Speaking of safety, the new Nissan Altima 2019 will be equipped with Nissan's exclusive technology called ProPilot. ProPilot is a set of safety and driver assistance features that improve driver comfort and reduce fatigue on the road. With ProPilot, your 2019 Nissan Altima will be able to automatically apply the brake if another car cuts you off the road, in addition to keeping you in the center of the lane on the highway by automatically adjusting the steering. An emergency braking system in reverse will also be offered on the new Altima 2019. This device will detect if an obstacle is behind you and automatically apply the brake when necessary if you do not apply the brakes by yourself. Other technologies include front, rear, and side surveillance and response, including an intelligent emergency pedestrian detection system, an emergency reverse braking system, a system Lane Departure Warning System, Radar Blind Warning System, Cross Traffic Alert System, and High Beam Headlamps. The 2019 Nissan Altima will now be powered by a turbo engine in its high-end version. This turbo replaces the 3.5-liter V6 engine of the previous generation and offers more power while being more economical. The new 2019 Altima is powered by a standard 2.5-liter four-cylinder direct injection engine. Most interestingly, for the first three years, the owners of this edition will be able to benefit from a personalized concierge service. Do you need to make a reservation for a restaurant, a hotel room, or secure concert tickets? Let your assistant at Nissan take care of it for you.